Added on 05 December 2018 . By Anisah Audu. Think you know Hitchcock? This pub will put you to the test. If you like your Sunday roast with a side of Psycho then you've come to the right place, because North By Northwest is dedicated to all things Hitchcock. 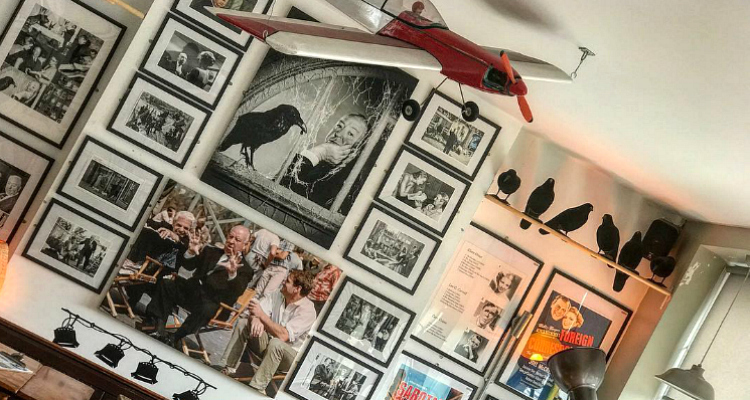 Located just a stone's throw from the site that was once home to Gainsborough Studios, aka the studio where the iconic director filmed his early thrillers, this is the perfect spot to soak up some movie trivia. Fancy yourself a Hitchcock expert? Not only can you join a walking tour of locations from some of his classic flicks, but you can even eye up legendary film posters, catch a silent movie and test your knowledge at a themed pub quiz. Pair all that with a stone-baked pizza and local beer from the likes of Hammerton and you're onto a winner. Get your Hitchcock fix at North By Northwest, 190 New N Road, N1 7BJ.